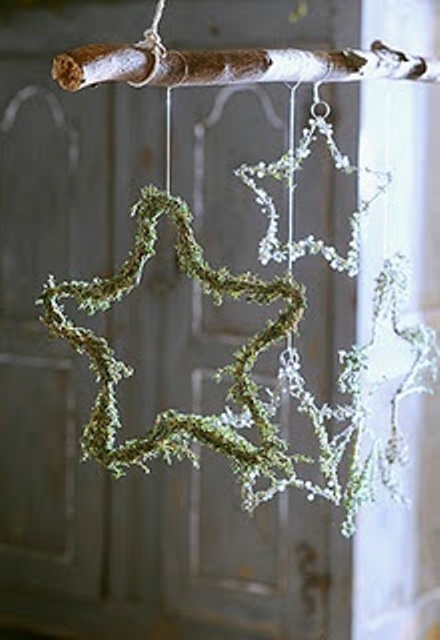 This simple hanging branch is a unique, beautiful addition to your Christmas decor, and oh so very simple! 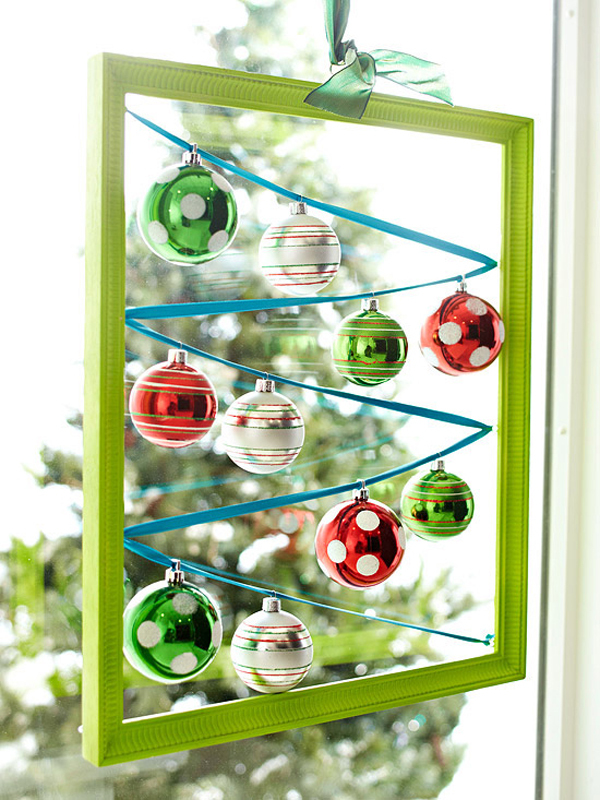 Ribbon, baubles and Christmas cards or ornaments mean you can make this display uniquely yours. 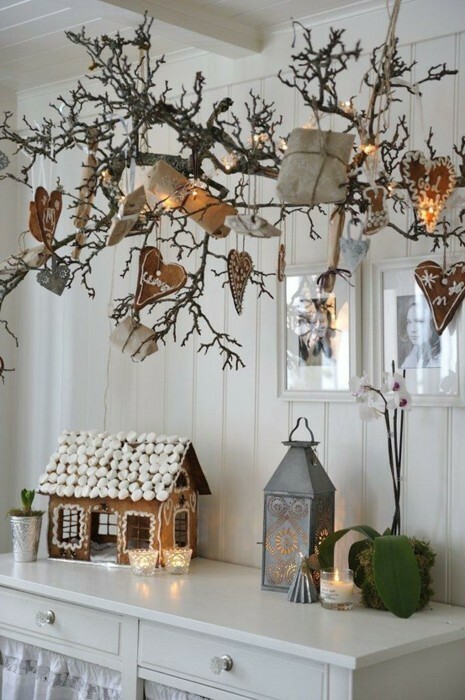 Twigs, Beads and Faux Candles Make this elegant Christmas display elegant and memorable. 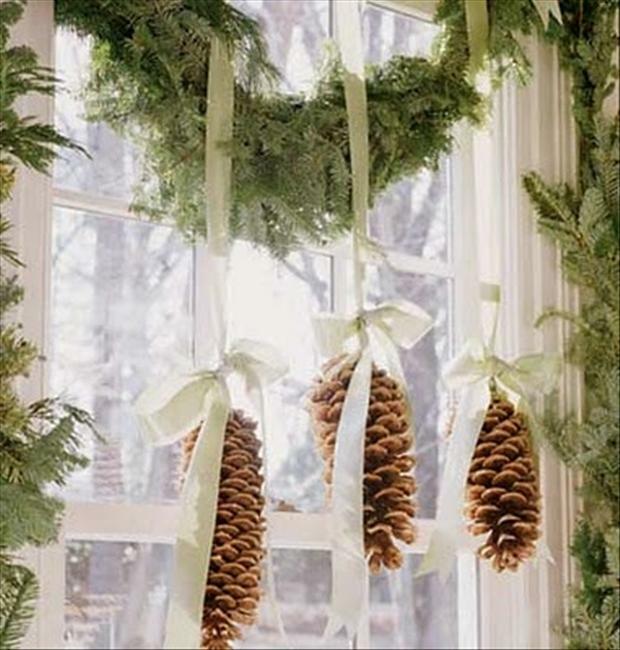 Pine cones, and berries can add the seasonal element for a country Christmas, or elegant home. An empty picture frame, ribbon and baubles make a divine window Christmas dressing that can be customized to suit your likes! 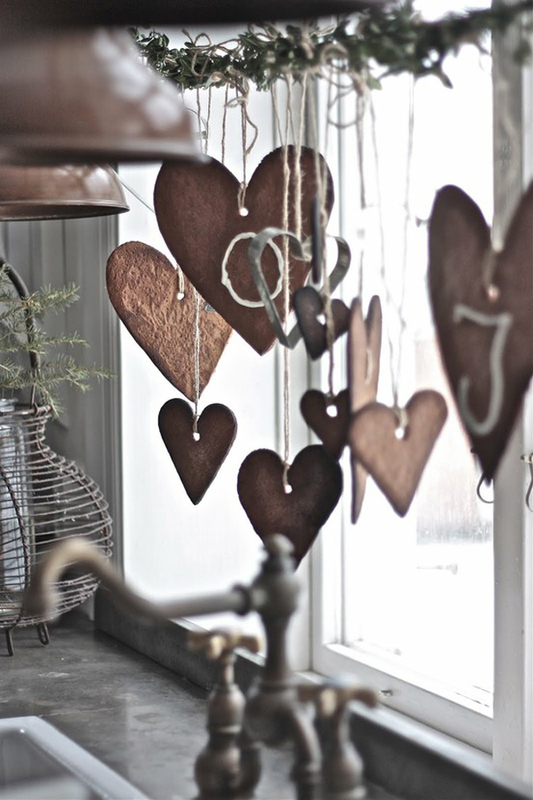 Ginger bread cookies, cookie cutters and simple string make a stunning, homey decoration for the season. Use white frosting to write on the cookies, or leave them plain for a simply stunning look. 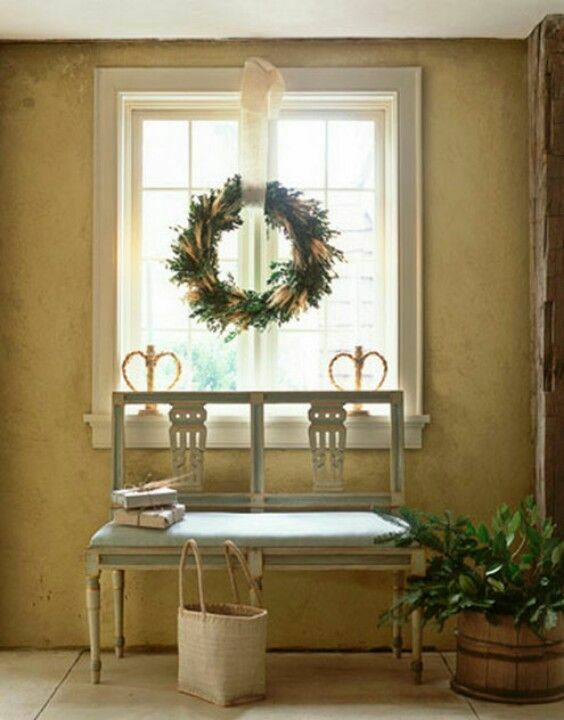 The wreath of your choice and a wide ribbon come together for a timeless Christmas window decor idea. 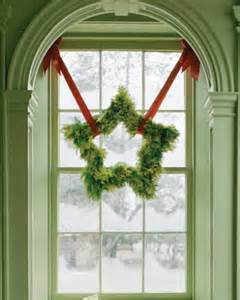 Use a store bought wreath, or make your own to match your homes decor style. 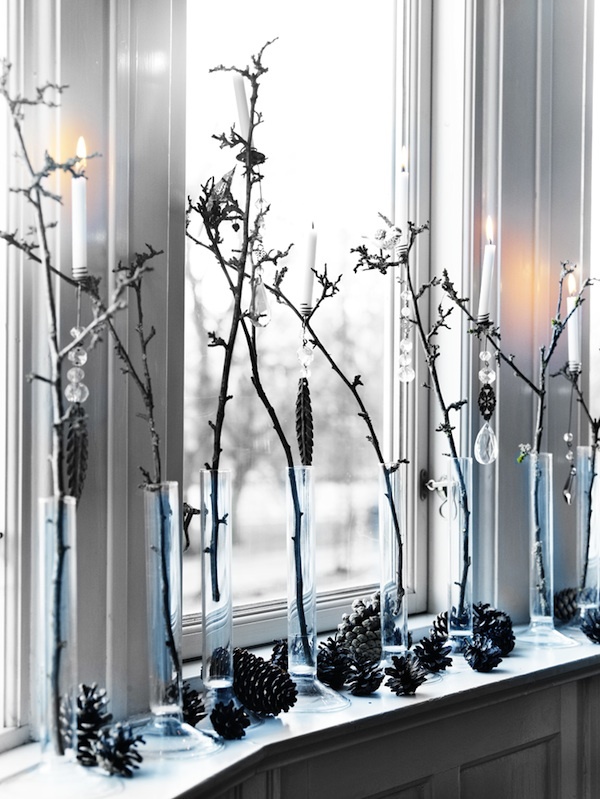 Star shaped wire wreaths and a suspended branch make this beautiful, nature loving window display. 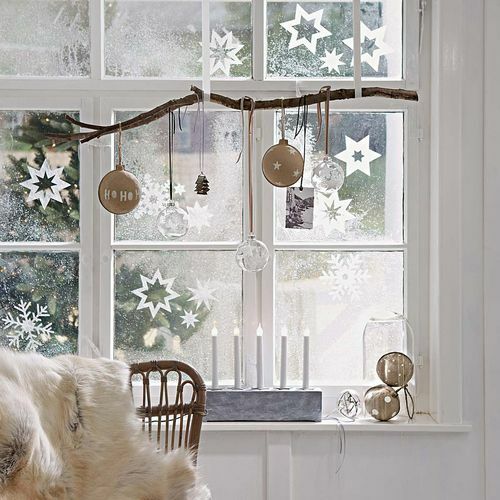 This is a beautiful and whimsical window treatment, beef it up with fairy lights for a stunning night time display! 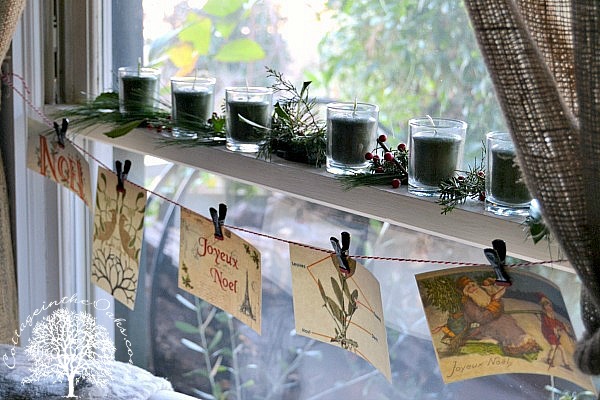 Votive’s, greenery and a string of Christmas cards make a simple, warm window dressing. 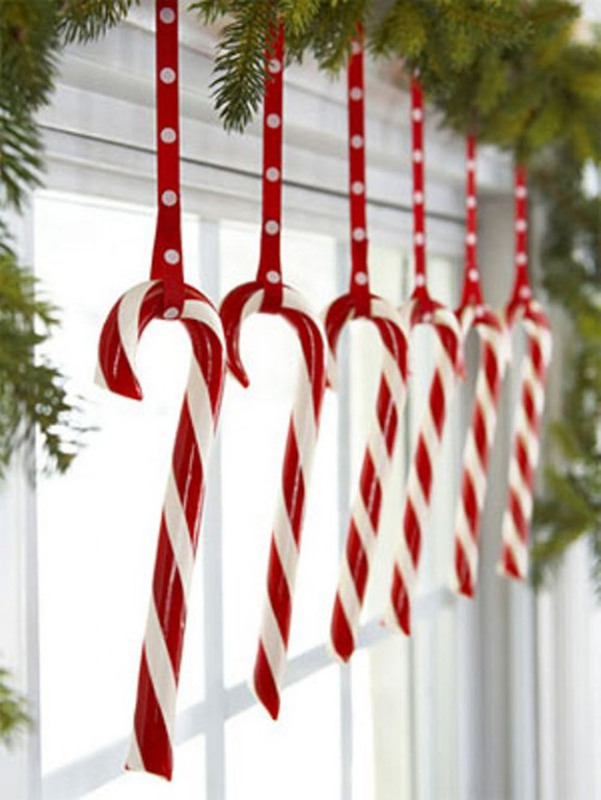 Candy canes and ribbon make a beautiful Christmas window display, framed with every green garland it’s perfect! Use plastic one in warmer weather to avoid breaking, or snacking. 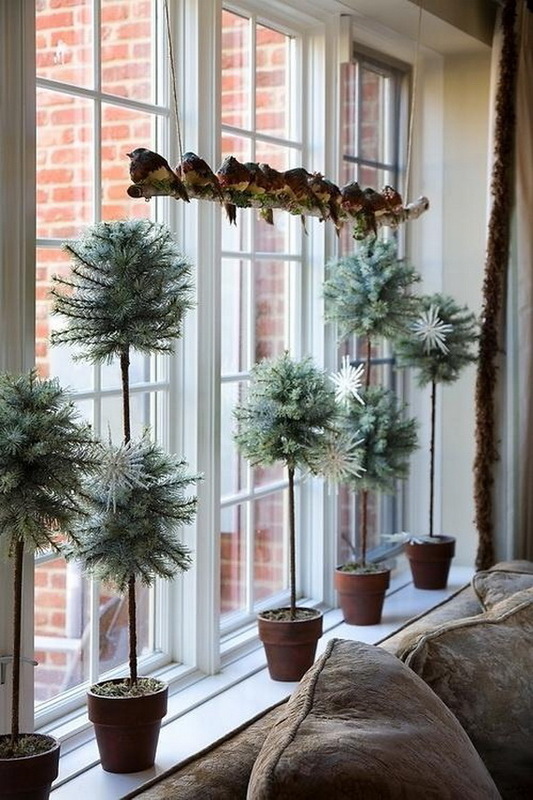 Potted evergreens and birds on a branch swing pull together this perfectly elegant Christmas window! 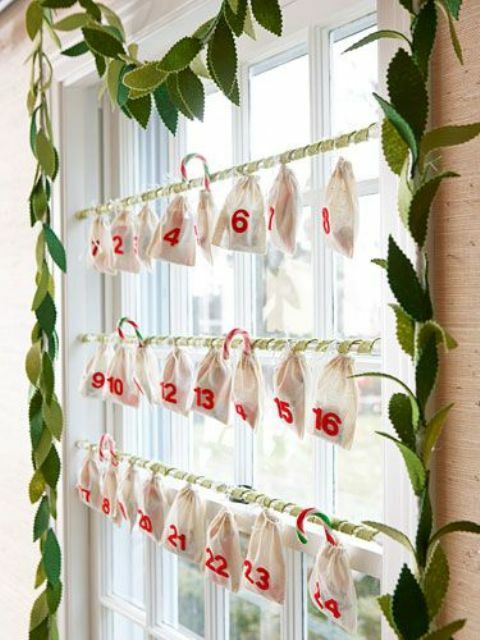 Simple and fun, this window advent calendar marks the days till Christmas with candy canes. 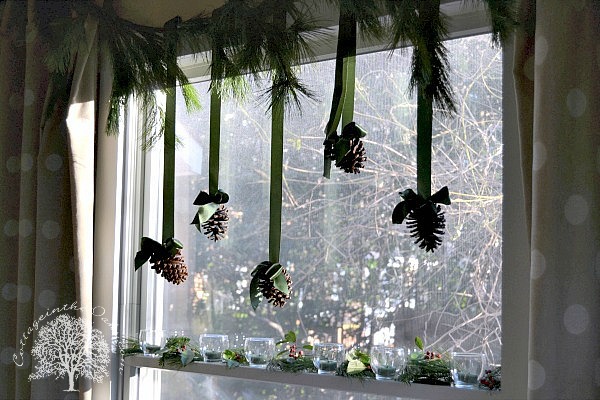 Pine cones hung with green ribbon makes is simply lovely! Votive candles, berries and greenery finish off the look perfectly. The look is versatile, changing the ribbon color, and garland can easily give you a completely new look. 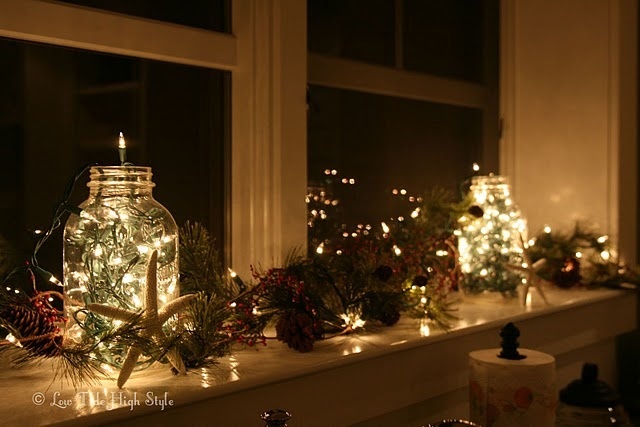 Christmas lights in large mason jars, pine cones, and garland make this stunningly display, perfect for a kitchen window sill.